Being a tough Islamic state, Brunei has being giving the worst penalties in the world for crimes related to cannabis. And any form of cannabis is strictly prohibited. In October 2004, a man was sentenced to death by possessing 600 grams of hash. In fact, this article is not going to be very long, because if you want to enjoy vacation and are cannabis smoker, I wouldn’t recommend Brunei. Cannabis is a very risky business there. In Brunei, possession of 500 grams means death penalty too often. Therefore, if you insist and want to smoke weed there, at least avoid having more than 400 grams with you. But even with less than 400 grams, officers will imprison you and after spending months or years in jail while waiting for your trial, the judge will give you a minimum of twenty years sentence. If you get caught, the first thing you must do is contacting your embassy and….pray! Never ever bring weed. Anyway, if you want to get some cannabis there, this information could be useful. Even though Brunei has one of the toughest cannabis laws in the world, there are few dealers operating in the black market who can sell you few grams. Of course, they are not easy to find and you should have a contact first. Above all, don’t use internet to find out places to buy. The net is always controlled by the police and it is the best way to get arrested. 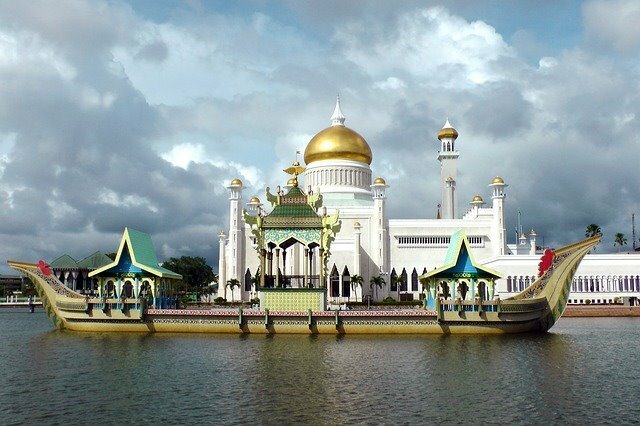 Brunei is the second most expensive place in the world to buy cannabis. Every gram will cost $73.8. No need to explain the reason why is so expensive. Do not forget that dealers and you are facing a death penalty or, at least, life sentence penalty. Don’t expect high quality cannabis. Brunei’s dealers offer what they have and what they can afford to get. Aside from the death penalty and/or life sentence, if you are stopped by police officers and they oblige you to pass a drug test, in case they find traces of cannabis in your organism, you will be equally punished. They don’t care if you consumed it while being out of the country. Moreover, the law consider that those who carry cannabis, no matter if they are aware or not, will pay for it. Therefore, don’t let anybody touch your bags. Aside from the death penalty and imprisonment, Brunei also provides punishment to those who have traces of illicit drugs in their system even if they consumed these drugs out of the country. The law sees fit that those who carry marijuana with their possessions, whether they are aware of it or not, will suffer the consequences. Muda Hassanal Bolkiah, the Sultan of Brunei, is the richest man in the world and one of the most repressive dictators too. He is the only monarch whose fortune increases 117 dollars every second. But when it comes to human rights he has no friends. Don’t expect any privilege for being a westerner in Brunei. If you get caught with cannabis, you are in big trouble. If you are stoner, you better choose another place to enjoy vacation.